A strong team of Super Mega Booking's live acts will be descending on Brighton to play Concorde 2 on what is set to be a night of UK Hip Hop fire. Secure your tickets here. 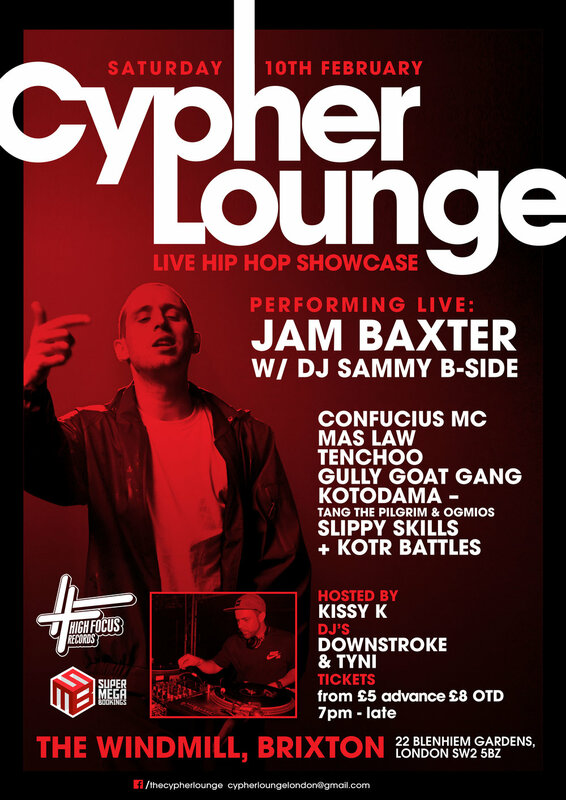 Catch Jam Baxter live in Brixton with DJ Sammy B-Side on Saturday 10th February. We are proud to announce the legendary Ramson Badbonez has official joined the Super Mega Bookings roster. Few MC's are as ingrained into the UK Hip Hop culture as Badbonez and we are excited to have this incredible talent on board. Jam Baxter & Ed Scissor drop "Laminated Cakes"
The SMB super party returns fresh from it's Bristol smash event to host the legendary Christmas special on December 27th at The Fez Club, Cambridge. SMB sells out always and without fail. Make sure you secure your ticket here today. Blah Records cult leader Lee Scott has a brand new solo album dropping entitled "SUPERGOD5000PLUS". Get your order in here. Skitz & DJ Sammy B-Side will be performing back to back at an evening full of UK Hip Hop foundational legends curated by none other than the godfather himself, Rodney P. Secure your ticket for this historic London show at Brixton Jamm before they are all gone. Leaf Dog will be showcasing his latest album "Dyslexic Disciple" over 3 dates across Austria alongside his long time accomplice BVA and DJ Jazz T. Be sure to secure your tickets. Dabbla recently joined comic legend Romesh Ranganathan on his podcast "Hip Hop Saved My Life" algonside top geezer Illaman to talk all things rap with a bag of jokes thrown in for good measure.